At the 2014 BET Honors on Saturday, February 8th, Mariah Carey made eyes pop and jaws drop when she appears atop a black piano to sing one of her new songs. According to the NY Daily News, she wore and extremely low cut black dress and long black gloves, while holding a vintage microphone. The internet starting buzzing when the photos surfaced, and people couldn't help but compare her, yet again, to Jessica Rabbit. Take a look for yourself and see the side-by-side comparison below. 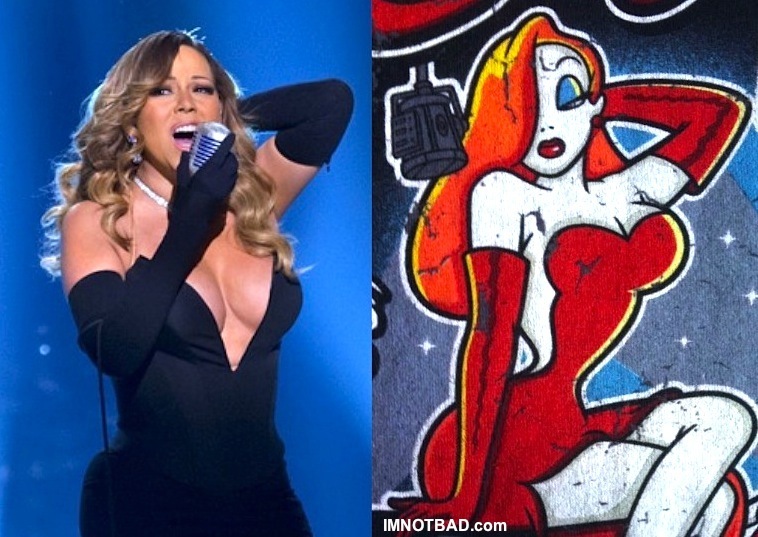 One can't help but wonder if Mariah Carey is influenced by Jessica Rabbit's style. The BET Honors show will air on February 24th.